Aregbesola said he was aware of the insinuation being peddled by those he regarded as adversaries to incite the public against his administration. Gov. 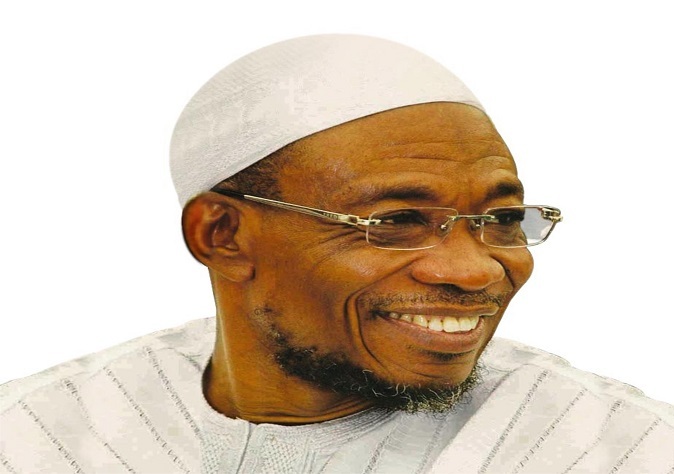 Rauf Aregbesola of Osun says he is not owing civil servants salaries. Aregbesola said this on Wednesday in Osogbo at a symposium organised by the Osun Command of the Police Community Relations Committee. He, however, said workers in the state had been paid up to June. “Let me make a resounding correction that despite the paucity of funds, it is only a section of workers on grade level 12 and above who receive painfully 50 percent of their gross salaries based on agreement between the government and the labour union. “So, outside that category of workers on grade level 12 and above, no other receives half of his or her salaries and the workers in this category are just 20 percent of the state’s workforce. “Outside that, officers on levels 8-10 receive 75 percent of their salaries while officers on levels 7 and below receive their full pay. “Contrary to what the naysayers claim about us, all workers in the state have received their salaries up to June this year according to the payment scheme and agreement. “As we pay active workers, so we pay pensioners. “The only outstanding pay to pensioners is the gratuity and this is due to workers who choose not to participate in the Contributory Pension Scheme and therefore left service in 2011/2012,’’ the governor said. In his lecture at the symposium, a former Inspector General of Police, Solomon Arase, attributed some of the socio-economic, religious, political and security challenges in the country to absence of sacrificial spirit among Nigerians. Arase, who spoke on “Combating Twin Evil of Terrorism and Kidnapping through People’s Policing in Nigeria,’’ condemned the incessant cases of kidnapping, terrorism and insurgency in the country. He said it was time for all Nigerians to develop consciousness toward securing the society by reporting any strange activity within and outside their areas.